​SABR members met across the country on Saturday morning for the Seventh Annual SABR Day. My local branch, New York City’s Casey Stengel Chapter, had a strong New York flavor to it. The day was filled with raffles, tributes, and trivia that stumped even the biggest baseball experts in the room. There was also a multimedia presentation by Jay Goldberg and baseball photographer Muneesh Jain focused on the 30th anniversary of the 1986 World Champion New York Mets. Goldberg shared stories and podcast highlights from interviews he did with those who either played on the 1986 Mets or were around the team at the time. But the main event was also the day's first: a tribute panel to one of baseball’s all-time greats, legendary Yankees catcher and 10-time World Series Champion Yogi Berra. The panel featured Dave Kaplan, Founder and Director of Programs of the Yogi Berra Museum and Learning Center, New York Times Pulitzer Prize-winning sports journalist Dave Anderson, and Yogi’s oldest grandchild and MLB.com columnist Lindsay Berra. Although there have been countless tributes to Berra since he passed away in September 2015, this one stood out as only SABR could. Panelists shared stories of Berra on and off the field. 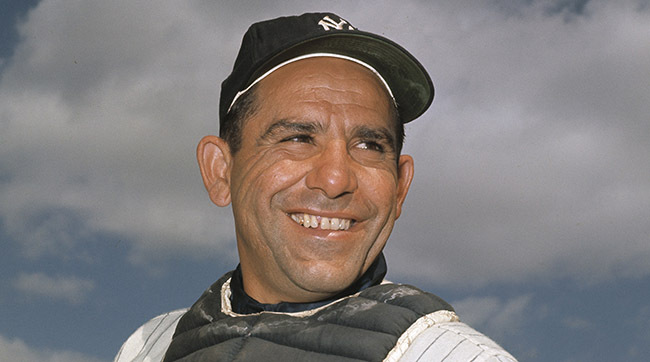 Lindsay Berra, for example, said that when Jackie Robinson first came into the league, Yogi didn’t view him differently from any other player. Her grandfather “didn’t see Jackie Robinson as a black man or as a white man. He saw him as a fast man who he had to deal with.” He didn’t hold grudges, especially if people apologized, and Yogi used losses as a chance to figure out how to do better against that team or player the next time. Yogi was all for equality, and to the day he died, never stopped believing so. Berra’s commitment to equality is one of the reasons President Barack Obama honored him with the Presidential Medal of Freedom in November. Lindsay and other members of the Berra family received the award at the White House. 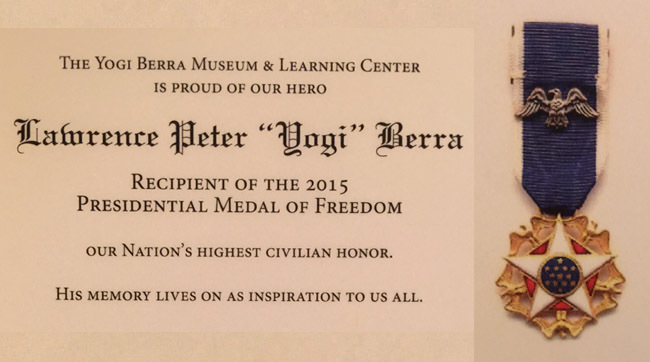 In Obama’s speech, he referred to many of Berra’s famous quotes, called “Yogi-isms.” “One thing we know for sure, if you can't imitate him, don't copy him,” Obama said. ​There is no copying Yogi, but there sure were funny stories, sports moments, and lessons shared by the panelists. They each shared memories showing that Berra was not just a great athlete, but also a great person. And while there was a somewhat sad vibe since Yogi is so beloved and no longer with us, the stories and memories were a friendly reminder that Yogi will always be with us because he was so much more than an athlete. He was a father, husband, grandfather, and influence to so many people. All in all, SABR Day 2016 was a huge success, especially for New York baseball fans. Just as the 2016 season is about to start, SABR is gearing up for lots of amazing events, including the annual analytics conference on March 10-12 in Phoenix, AZ. To learn more about that event, or about the organization itself, visit the SABR website.